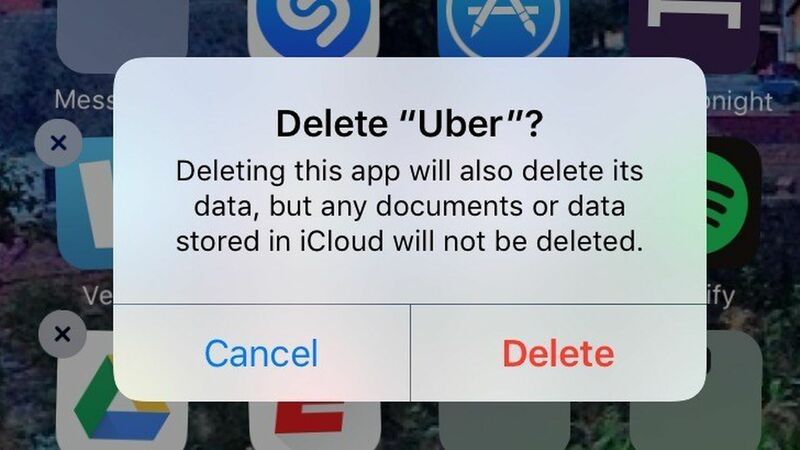 Uber finds itself dealing with #DeleteUber, an online Twitter backlash to its decision to suspend surge pricing around JFK International Airport in New York on Saturday night. People are sharing pictures of themselves deleting the app from their phones. Why? The New York Taxi Workers Alliance declared a one-hour work stoppage at the airport to show their support for protests, so Uber's decision and a tweet encouraging people to "be patient" while waiting for rides were seen by some as an attempt to break the strike. Trump critics — including some of Uber's own employees — are already upset with the company's chief executive for serving on a Trump advisory council. Some cited his involvement as a reason they were deleting the app. Uber rival Lyft said on Sunday morning it would give a million dollars over four years to the ACLU, which sued to halt the refugee ban. Uber's counterpoint: The company denies trying to break the strike and noted to BuzzFeed News that its tweet was sent out after the appointed hour for the work stoppage. CEO Travis Kalanick said Saturday that the ban "will impact many innocent people" and pledged to bring up that concern when he and other business leaders meet with the president this week. Update: Uber said on Sunday afternoon that it would create a $3 million fund to assist drivers with immigration law and translation services and reiterated its intention compensate drivers who lost money because of the executive order. Kalanick also said the company would push policymakers to "reinstate the right of U.S. residents to travel — whatever their country of origin."